The Government has today confirmed the details of spending on Higher Level Stewardship (HLS) until 2014. The announcement means that farmers who have applied to join the HLS scheme this year, and are waiting to learn if they’ve been successful, can be given start dates. Further changes to the scheme will focus its role on safeguarding the environment. More money will go to protecting wildlife and reducing water pollution and less spent on farm renovations and access to the countryside. ‘We have worked hard to protect spending on HLS so that it can increase by more than 80 per cent by 2014. This will guarantee the future of HLS, ensure that the scheme delivers the greatest possible benefits for wildlife and the natural environment, and keep it open to new applicants. Natural England will inform all applicants about the progress of their individual applications within the next four weeks. Further changes to Environmental Stewardship will focus resources on key environmental issues such as protecting wildlife and reducing water pollution. The amount of funding that can be spent on maintaining and restoring farm buildings will be capped, meaning that a larger number of smaller projects can be supported. Farmers will still be able to apply for one-off capital payments to support access to the countryside or hosting school visits to farms. This change is designed to get the best out of all available funding. New applicants won’t be given annual payments to support these activities but farmers with existing agreements will not be affected. The Government have also announced that, following an EU audit, payments to farmers after 30 June 2011 will move to an annual cycle. This change will apply to all Environmental Stewardship agreements that started on or after 1 February 2007 and has been introduced to protect the UK from expensive EU fines. To help minimise the impacts of these changes on farmers all payments due during the first half of 2011 will be unaffected. ‘I deeply regret the impact that the unavoidable change in Environmental Stewardship payments will have on our farmers, but this is the only way to avoid large EU fines. We have pushed the start date back by an extra six months to give as much notice as possible so that farmers have time to plan for the changes. Environmental Stewardship (ES) is an agri-environment scheme which offers payments to farmers and land managers in England for effective land management to protect and enhance the environment and wildlife. The scheme is delivered for Defra by Natural England and forms part of the Rural Development Programme for England. Entry Level Stewardship (ELS): Whole farm agreements open to all farmers and land managers who farm conventionally for simple yet environmentally effective land management. Organic Entry Level Stewardship (OELS): Similar to ELS, but offering higher payments for the greater environmental benefits associated with organic farming and the costs of meeting annual organic registration requirements. Uplands Entry Level Stewardship (Uplands ELS): A new uplands strand of ELS, launched in February 2010 with the first agreements starting from 1 July 2010, available to farmers in England’s Severely Disadvantaged Areas (SDA). Higher Level Stewardship (HLS): An environmentally targeted, competitive scheme with 10-year tailored agreements of high environmental value involving complex and specialised land management. Take-up of HLS has reached record levels this year. Further new agreements were temporarily suspended following the Government Spending Review in October 2010 to allow time for the effects of the Spending Review to be assessed. This was necessary because new commitments made this year will impact on the budgets for subsequent years. 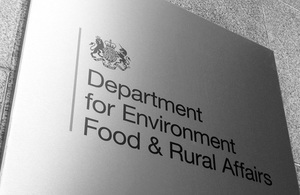 Changes to Environmental Stewardship funding will include a cap of £150,000 over a three year period to be imposed on payments for the maintenance and restoration of Traditional Farm Buildings. This will free up funds for other Stewardship priorities and allow the scheme to move away from having a limited number of expensive projects, meaning that more farmers will benefit. The current payment system for Environmental Stewardship means that agreement holders receive payments every six months after the start of their agreements. The change to an annual payment cycle means all that after 30 June 2011, farmers will now receive their two payments in the Autumn and Spring.